We have been so blessed and touched by reading all of your supportive messages and comments this past week and longer. The prayers, offers of help and just the overall love extended to our entire family have been a great source of comfort. We will continue to need and appreciate that same outpouring of love as we embark on this next journey. 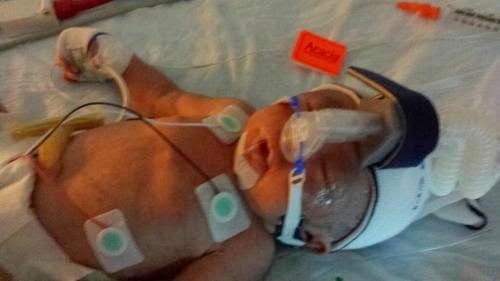 Our sweet daughter and granddaughter, Everly Marie Hopkins, has been diagnosed with a terminal genetic condition called Trisomy 18. We are preparing to bring her home in the next few days so that we can offer her peace, comfort and boundless love. We do not know what day she will be called home to her Father but we do know that He is with us and will be with her. 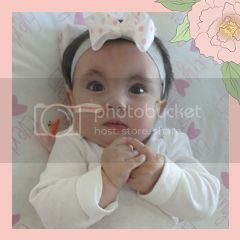 We want to learn to appreciate every second of life and by coming home we can do that with her. So many babies with T18 do not make it to birth and so for that fact alone we feel extremely blessed to have been able to not only meet her but to get to know her as well. She changed our lives the minute we met her and we are so grateful for each kiss we give her sweet lips, every stroke of her soft hair and every sound she makes. I know that many of you will want to know how to help and to be perfectly honest, I do not know the answer to that. I can say that we will be spending every second of every day at home with her, learning more about her and making family memories. When the time comes, our family will most certainly need your love and support even more then. I know all of you love her as well and for that, we thank you. This experience has made us stronger people and we hope that everyone around us will appreciate life just a little more. There may be no sun outside but there is inside our NICU room! 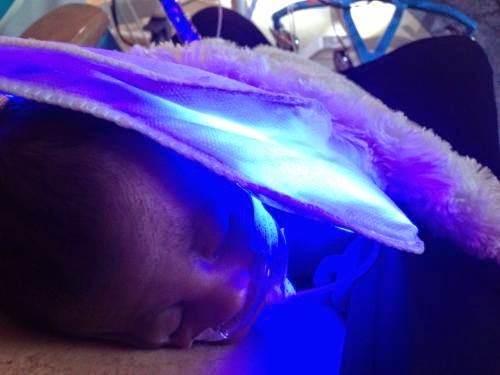 Little Everly went on light therapy yesterday for low bilirubin count. That severely limited the most important part of the day...kangaroo care...to three short 20-30 min sessions. Our neonatologist just stopped in for our daily check up. Guess what? We received the go ahead for kangaroo care and light therapy simultaneously! So, no time limits! Just has to go to "bed " to get her hands on checks and feelings. But other than that can be skin to skin with us! So exciting! She also increased her feedings to every three hours from every six. So, mama's going to become a pumping queen to keep up with her. But that is also good news that she's able to handle her tube feedings so that's good. We've not had any other major breathing issues that required outside intervention since a couple of nights ago. She does struggle at times but has been able to "fix" it herself for the most part. Praising God for that! Still waiting for answers for a few lingering questions, though. Hope those come soon but in the meantime we will continue to focus on her and the boys. We are heading home now for about three hours to spend time with the boys and my parents. Because we've been blessed with meals arriving, it's one thing we don't have to worry ourselves about. Thank you to all who are helping our family in this way. Our plan is to come home daily for dinner and visiting with the boys before returning to the hospital. The boys, much to their dismay, are staying home from hospital today. She is under light therapy and can't be held right except for a time or two so hopefully tomorrow they can come. I'll keep you all posted! Prayers please to continue! First, thank you for all the comments and words of encouragement. They have been the source of hope these past two days. And with that, let me apologize for not getting this out sooner. Didn't realize the energy that would be gone and the many interruptions we have daily between doctors, tests and just monitoring her. Once I was moved out of recovery on Thursday, they did take me on the stretcher to the NICU to see Everly. Jimmy was already there and had been with her since leaving the delivery room. During that time, he was texting me pictures of her and giving me some basic info on how she was doing. Unfortunately, I wasn't able to stay with her more than a few minutes, just long enough to kiss her and see with the cpap on and a tube in her mouth. Then I was taken to my room. According to Jimmy, her vitals were checked hourly, they took an x-ray, an EKG and an echo of her heart. My mom was also in the room with Jimmy and was present when the cardiologist updated them on his findings. It was then that they were told of another heart defect that was found...Bicuspid Aortic Valve. In a nutshell, it means that this valve that distributes oxygen-rich blood to the body has two flaps instead of three. Following the cardiologist visit, the neonatologist visited and instructed the nurses that they could remove her cpap machine. 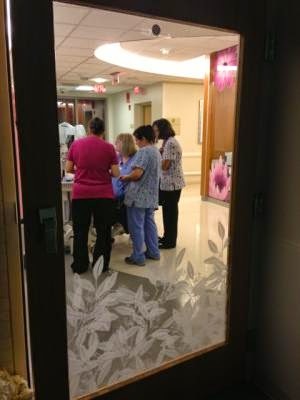 Later in the evening, the boys and my dad arrived and we all went to the NICU together and joined Jimmy and my mom. Jimmy was able to sponge bath her later that night after I had returned to my room and my parents/boys left. Much later, Jimmy was the first lucky one to hold sweet Everly in the quiet of the night. He texted me a photo to my room and I was so glad that one of us was able to hold her the first day. On Friday, it was the routine of vitals, echos, EKG and few blood draws. The excitement for me was that after breakfast, I was allowed to offer her kangaroo care which is skin to skin contact. That was so comforting for both of us. Unfortunately, the IV she received at birth started to leak and they had to replace it. It took 3 pokes to get the new one. But, five hours later, that one leaked and they needed to find a new IV site...3 more pokes. I received another opportunity to do kangaroo care with her. It was then that our nurse noticed that this new IV was leaking. It was then discussed with us the idea of starting a PICC line instead. The benefit to this is that it lasts longer than a regular IV. The downside is that it is a central line straight to her heart and comes with its own risks. Unlike the IV line, this one requires parental consent. Seeing that she had already lost so may vein up to this point, we both agreed it was necessary since we are looking at a bit of a stay in NICU. So, at 10:45, we left NICU for my room while they prepped the room and Everly for the procedure. After a couple of hours we still had not heard anything, so we called up to the room to find out that they were not successful in starting the PICC line. One thing about that is because she had already lost her IV earlier in the day, they were unable to give her the customary sedation medication used during the procedure. After much discussion, they decided to try to do another regular IV line and tried almost every other vein...arms, legs, wrists and even twice on the scalp. Still no success after two more hours. Then it was decided to try to go in through the drying umbilical cord which is usually done right after birth. However, it was very dry so they weren't sure they could do it. After another long three hours, it worked. She was in need of fluids at this point since she had bee IV free for about 8+ hours now. Shortly after they decided to try another PICC line under her arm because the umbilical cord line wouldn't last for too long. So another hour and a half of work and the PICC line was inserted. She is a tough cookie and really had a lot to endure during this time. Fast forward past two more days (Saturday and Sunday) and we are here today just waiting for answers. Her medical episodes aren't following along with what the doctors would expect based on her gestational age and her heart condition. So, we are in a wait and see pattern until the tests come back and then the doctors can make decisions based on that. Last night (Sunday), was challenging because she had many episodes of her breathing stopped but she wasn't able to recover on her own. So, the respiratory therapist was essentially planted in the room for the night. It was a night of worry and no sleep to say that the least. Garren will be taking over updates and posting for us as things come up. Thanks for checking back. Okay, Baby Everly is here!! I don't have much info at this time as I'm sitting in recovery waiting to go up to NICU. But she weighs 4 lbs 4 oz and is 17 inches. So a little smaller than the estimate. She has a head of black hair. She has a soft sweet cry and is as cute as a button! I'll post more as I learn more tonight. She just had her first echo and the cardiologist has to read it and report back to us. We thank you all for your prayers and words of encouragement! Thanks to our God for seeing us through during and immediately following delivery!